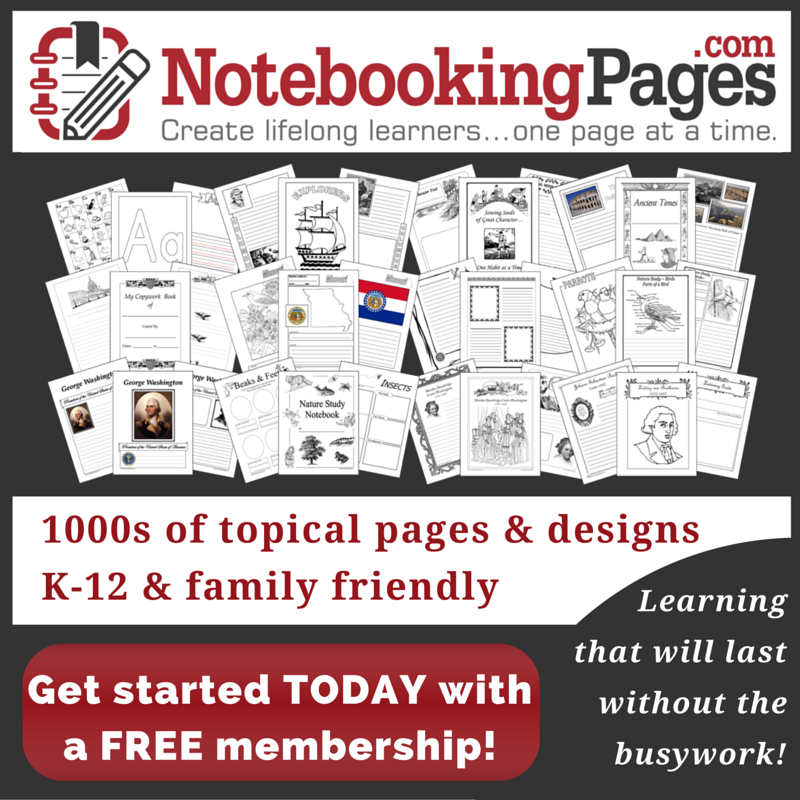 Homeschooling can also be a daunting task. It is, at times, stressful and intimidating. Are you doing it “right?” What if you can’t teach them Algebra? Does it matter that you aren’t a certified teacher? How come your kids don’t behave like so-and-so’s kids do? She gets so much done in a day. Why can’t you? This homeschool journey gets so much harder if you spend your days comparing your homeschool to someone else’s. Whether that someone is your favorite blogger, your sister, or your best friend, you have to be sure that you don’t get caught in the comparison trap. I know that it is really easy to do. Most of the time, what you are seeing, though, is someone else’s “good” day. 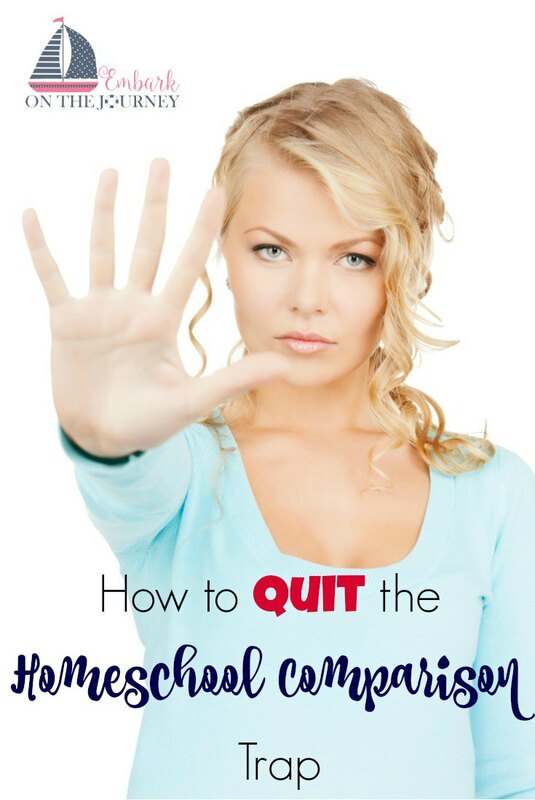 I can’t tell you how many times I wanted to throw in the towel, because I felt like a failure. My schoolroom was no where near as pretty and organized as my favorite homeschooler blogger’s was. I couldn’t keep up with my own schedule to save my life. That curriculum that my best friend recommended just didn’t work for my kids. What was wrong with my kids? What was wrong with me? You know what? There was absolutely nothing wrong with me or with my kids. Well, except for the fact that we are different. I was me, and I couldn’t emulate someone else’s homeschool. My family wasn’t their family. My days didn’t look like their days. My goals weren’t the same as theirs. And that’s how it should be. Every family is different. Kids have different temperaments, needs, and learning styles. Teachers have different temperaments and teaching styles. Lifestyles are different. Family dynamics are different. What works for your best friend is not likely to work exactly the same for you. You have to evaluate your family, your lifestyle, your teaching style, and your kids’ learning styles in order to find what works best for your family. You can’t mimic someone else’s homeschooling journey. It just won’t work. You’ll end up being a frustrated teacher trying to teach frustrated kids, and that isn’t an ideal learning environment for anyone. So, how can you find what works best for you? You can evaluate what worked and didn’t work for you in the past. Once you’ve done that, decide what you want to teach. Will it make life easier to combine kids for certain subjects? Or, is it time to separate them? Do you need something scripted or online or in an all-in-one box? Give your children the opportunity to offer input. They may surprise you with what they have to say. Find what works for you right now with today’s circumstances. Be prepared to reassess annually to make sure it will still work for you next year. If it won’t, reflect and readjust as necessary. Have you ever found yourself caught in the comparison trap? I wish I could fully express how incredibly encouraging this article was. Thank you. I plan to save it to read & re-read as needed!!! Oh, I”m so glad you are encouraged! I’m sure it is hard to stop comparing ourselves in many ways of life. I just finished a post about it actually. I do admire anyone who takes on the responsibility of homeschooling. thanks for sharing your thoughts with us at Over the Moon. Wise words, Tara! 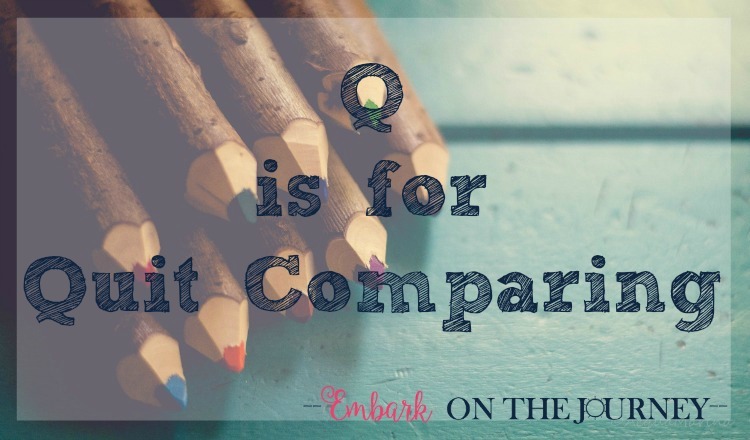 I think comparison is a common problem among homeschoolers, and an important one to address. Giving in to the tendencies to compare ourselves to others is rarely fruitful, and is more often destructive and demoralizing. Thank you for sharing with us at Grace & Truth!